Srinivas College of Physiotherapy was established in the year 1993 in the city of Mangalore. The college was set up with the objective of providing quality education in the field of Physiotherepy and was upgraded as a research center, which is the first center affiliated by Rajiv Gandhi University of Health Sciences, Karnataka. The college offers Bachelors, Master and Doctoral degree and provides excellent academic and clinical facilities to the student. For abroad placements of our students SCPTRC has tie up with Kare Partners, Inc. (2009), a Leading Health care provider in North Carolina, USA. SCPTRC is the first college to provide General Education Credit Course (2009) to meet the US equivalent educational credits in physiotherapy. 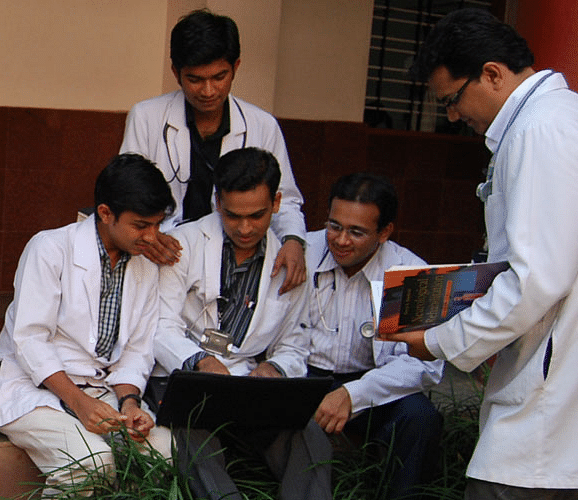 Why to JoinSrinivas College of Physiotherapy? Clinical Facilities And Tie Ups- Clinical training is provided to students at the college OPD, Wenlock Hospital, Lady Goshen Hospital & NMPT hospital. Besides this, there is an exclusive Physiotherapy department at the Employee State Insurance (ESI) Hospital rendering free consultancy, diagnosis and therapy contributing effectively towards clinical service and community development.